Carnival Cruise Line celebrated another milestone in the construction of its unnamed ship, Vista 2, at Fincantieri shipyard outside of Sorrento, Italy. On this beautiful day, many Carnival and Fincantieri executives gathered at the shipyard for a launch ceremony that featured a 100-meter forward-section of Carnival Vista 2 that was floated from dry dock and into the water. 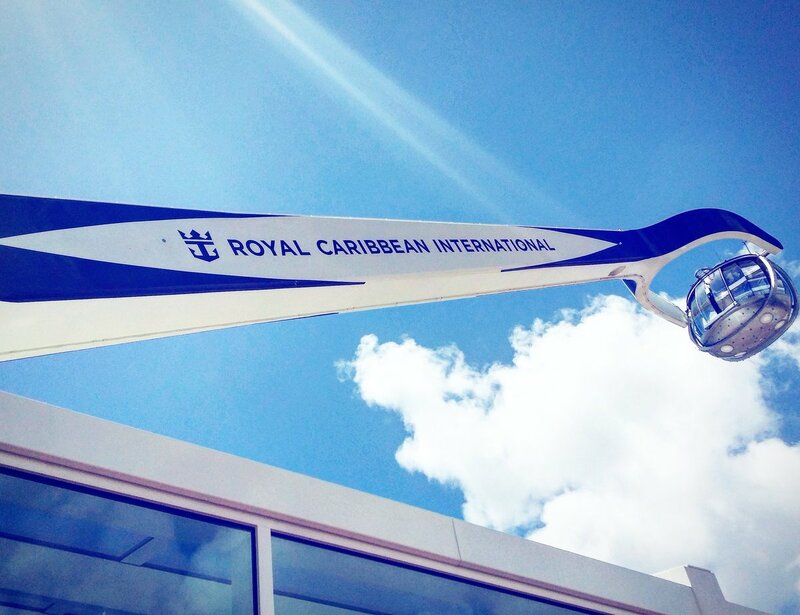 This launch event is a maritime tradition dating back centuries. The section of the ship was launched in a traditional style where it was blessed by a priest and then sent into the water. Christine Duffy, President of Carnival Cruise Line, was handed and ax and got the honor of cutting the cord, which set the section of the ship rolling into the water. After quickly being launched off the platform into the water, the section of the ship was retrieved by a tugboat where it was escorted back to the dock. This section of Vista 2 will stay at the shipyard for another week until it’s next stop, where it’ll get towed to another Fincantieri shipyard right outside of Venice. There, the section of the ship will join the rest of the construction of the 133,500-ton vessel. The section of the ship that floated today, which was deck zero on the forward part of the ship, is 6,000 gross registered tons. Piece by piece this ship will come together and will be ready to take its first voyage in spring of 2018. “I’ve only ever seen this kind of thing on TV. 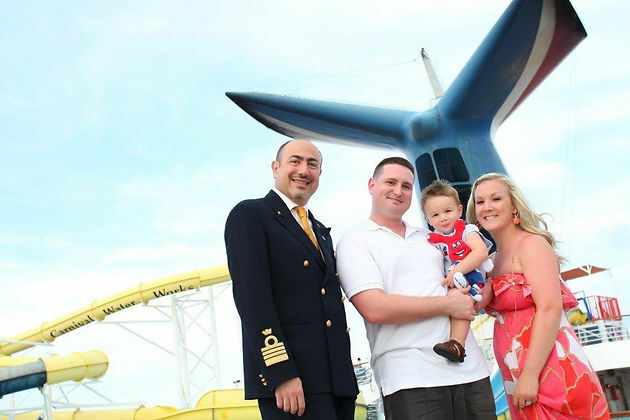 It was an emotional, jaw dropping moment,” said John Heald, Brand Ambassador for Carnival Cruise Line. “Cruise ships are built like Legos, parts are fabricated at different locations and then pieced together. The section that we launched today consisted of 15-20 pieces,” Marco Lunardi, Project Manager at Fincantieri told us. Marco headed up the Carnival Vista project and now Vista 2. Carnival Vista was recently launched on May 1st and is Carnival’s biggest ship yet. The Vista ship includes nearly 30 food and drink venues, including the first brewery at sea, Red Frog Pub and Brewery. Currently, Vista is sailing in the Mediterranean. It will be relocating briefly to NYC in October for three sailings before heading to its new home, Miami, in December. More details of Vista 2 will be released closer to the ship’s launch. 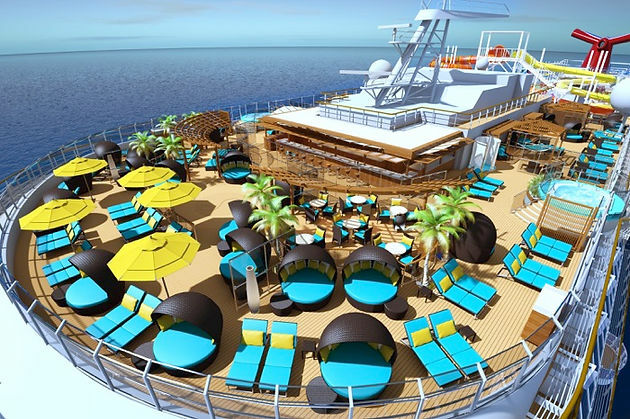 Carnival has hinted to new features and venues, which will be released when the ship debuts in 2018. Time is running out on the great offer, be sure to check it out. Escape to the mesmerizing charm of Europe on your next getaway with this phenomenal offer from Celebrity Cruises. Don’t sacrifice experience for value – book this promotional offer now and enjoy $200 in hotel savings! Discover the best sights, history, and culture that Europe has to offer on board one of Celebrity’s magnificent ships now! Plus, 3rd and 4th guests in your stateroom receive a free classic non-alcoholic beverage package and a free 40-minute WiFi package! Enjoy the savings and convenience of pre-purchasing your Beverage Package before you cruise. Pay one set price to enjoy a wide variety of beverages, including cocktails, premium coffees, wine by the glass, endless refills of sodas featuring Coca-Cola® products, and unlimited bottled water. Your package can be used many places on the ship—in the Main Restaurant, any specialty restaurant, the casual dining restaurants and buffet, plus all bars and lounges. Beverage packages cannot be used at the in-stateroom mini bar, through Room Service, or at the Enomatic® wine-dispensing system in Cellar Masters. From bottled water to wine by the glass, relax in the freedom and convenience of having all your cruise beverages included for one price. Refresh your thirst from our selection of both still and sparkling bottled water, including Evian®, Pellegrino®, Acqua Panna Natural Spring Water and Perrier®. Attend Riedel’s Wine Glass Comparative Workshop onboard Celebrity. In this unique workshop, you’ll taste different varieties and learn how the shape of a glass affects the experience of every sip. Enjoy your favorite bottle of spirits, with an assortment of mixers and ice bucket, in the comfort of your stateroom. Choices include Classic and Premium brands. Simply indicate the spirit of your choice and let Celebrity take care of the rest. Offers a variety of international wines by the bottle that will meet your preferences. Choose 3, 5, or 7 bottle packages and make your specific wine selection on board. Enjoy refreshing Coca-Cola® beverages throughout your cruise. Available as fountain drinks or canned drinks. *All prices in USD are subject to change without notice. An 18% service charge will be added to Soda, Wine, Water, Classic and Premium Package prices at checkout. Package prices may reflect an additional tax for certain ports or itineraries. Packages are sold on a per cruise basis, are not sold on a per day or any other basis, and no refunds will be issued for unused amounts. Packages may not be shared, and do not include beverages sold in gift shops, mini-bar or room service. Ordered packages may be modified up to four days prior to sailing by canceling and reordering the package. Cancellations or refunds will not be issued onboard the vessel after embarkation day. Availability of beverage packages varies by ship. You must be at least 21 years of age to purchase any alcoholic package and to consume alcohol. See the terms of our guest alcohol policy. Other terms and conditions apply. Our meticulously thought out Concierge Class staterooms, where the little details make a world of difference, are now even better. Featuring new services, amenities, and exclusive events, step inside and discover a room that’s so much more than a room—it’s an experience. Concierge Class staterooms are well-appointed, personal retreats which are located in some of the most-desirable locations on the ship. 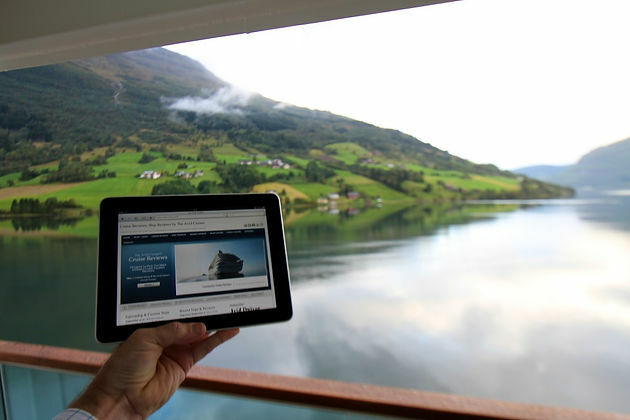 Royal Caribbean International is making VOOM, its exclusive, high-speed internet service – the fastest at sea – available fleetwide on its 24 innovative ships sailing to the most popular destinations around the world. 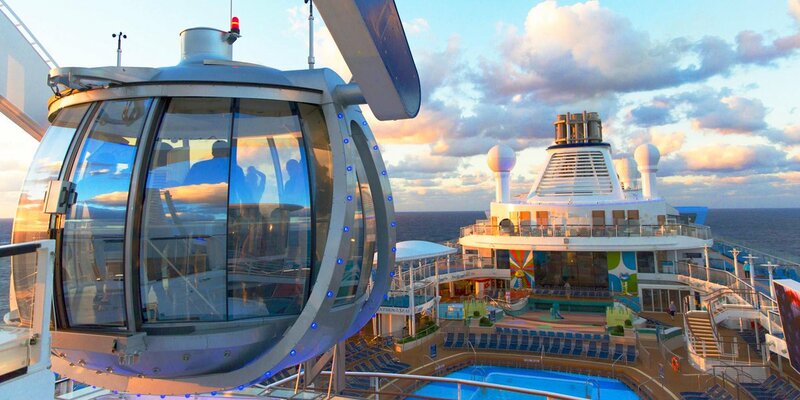 VOOM allows guests vacationing with Royal Caribbean to always stay connected and to stream their favorite music, movies and TV shows to stay up to date on the latest happenings. Whether they are posting envy-inducing vacation photos on Instagram or Snapchat, or video-chatting with loved ones back home using FaceTime or Skype, travelers can share their adventures in real-time with family and friends. Guests can even relax or chill poolside while catching up on their favorite TV show or the newest movie. Known for the most innovative ships at sea, the cruise line has made a significant investment to enhance guests’ internet connectivity experience outfitting its newest smart ships with the latest and most advanced in technology and continually upgrading its existing fleet. Through a combination of Wi-Fi service providers, Royal Caribbean is able to deliver more overall bandwidth fleetwide than any other cruise line. 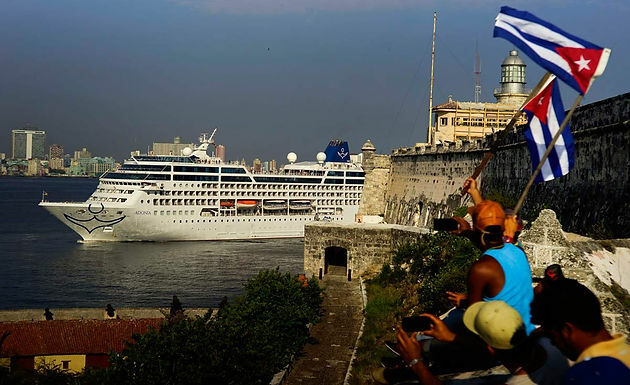 The enhancements will provide speeds at least twice as fast as before and also have enabled the cruise line to provide service at prices that are less expensive than ever before – comparable to most land-based resorts. Surf, which provides guests the opportunity to surf the web, stay in touch via email, and share their vacation photos on social media. Surf packages start at $12.99 per device per day with additional devices added at a discounted cost. Family packages – 5 devices or more – start as low as $8.99 per device per day. Surf and Stream, which is ideal for guests looking to do more than connect via email or social channels, but also want the capability to stream movies and music from Netflix or Spotify, and to connect using video chat apps such as Skype. This package is available for $17.99 per device per day. Additional devices can be connected at a discount and family packages – 5 devices or more – start as low as $11.99 per device per day. This pricing is a significant improvement from the standard programs currently offered throughout the industry, many of which charge on a per-minute basis. Carnival Cruise Line is offering active and retired US and Canadian service members special savings and bonuses during May to mark National Military Appreciation Month. The promotion, which provides a $50 on-board credit per cabin and a two-category upgrade, can be combined with Carnival’s attractive military rates. In addition, travelers who qualify for the month-long promotion can book up to two additional staterooms with the same bonuses and pricing. The promotion is applicable to cruises departing between August 2016 and April 2018.